Words cannot describe this amazing one and only Myrtle Beach Penthouse Suite at the Marina Inn at Grande Dunes! You will experience a luxurious sense of arrival the moment you walk through the double doors and take in the calm panoramic views of the marina, waterway and golf course - all from your wrap around balcony. 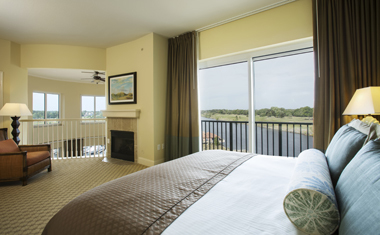 The spacious, deluxe suite is ideal for an extended family vacation, golf group or girls trip. Each bedroom is uniquely different and affords a private bathroom for total privacy. The king master bedroom features a fireplace. In the second king bedroom, enjoy the Jacuzzi® Jetted Whirlpool Bath. Roomy bathrooms include travertine tile floors with relaxing Rainshower heads; perfect for unwinding and separate double sinks for extra convenience. For family or fun time, gather in the spacious living room by the fireplace with plenty of space to spread out and watch a movie or play games or gather on the panoramic balcony, perfect for indulging in a glass of wine and watching the beautiful Myrtle Beach sunset. If your vacation includes cooking meals, the suite provides a completely furnished kitchen, bar and dining table for your convenience. Lowe's Food Store located across the street offers convenient grocery delivery. Four King Bed Accommodations; Master King features a fireplace & & In the second king bedroom, enjoy the Jacuzzi® Jetted Whirlpool Bath. Spacious 435 square foot room with choice of king or queen beds with a private balcony and view of either the waterway or pool/marina is perfect for a couple or family of four. Great for couples or business traveler featurning king bed, full kitchen, sitting area, fireplace, balcony with views of waterway and golfcourse. Perfect for honeymoons, romantic weekends or getaways, Features a Fireplace and Hot Tub with serene views of Waterway. 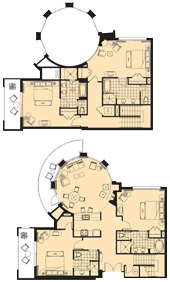 These spacious suites are up to 1800 square feet and cater perfectly for familes. 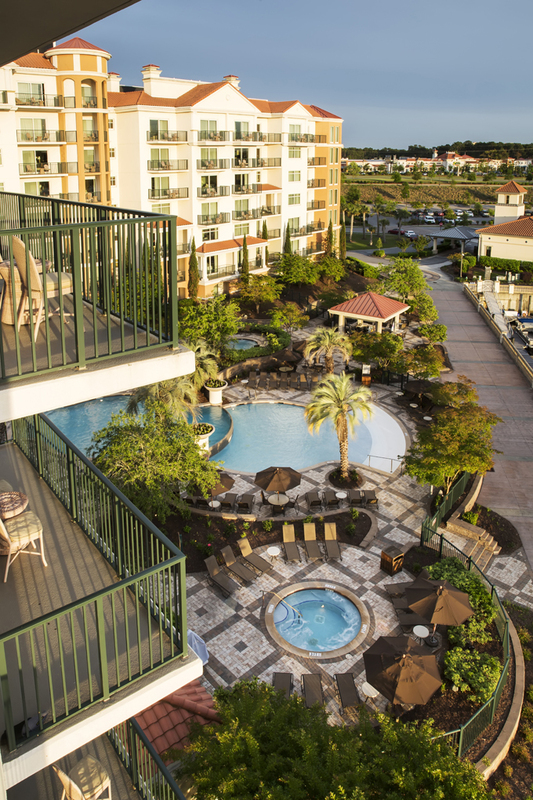 All suites feature full kitchen, washer/dryer, balconies with views and much more.